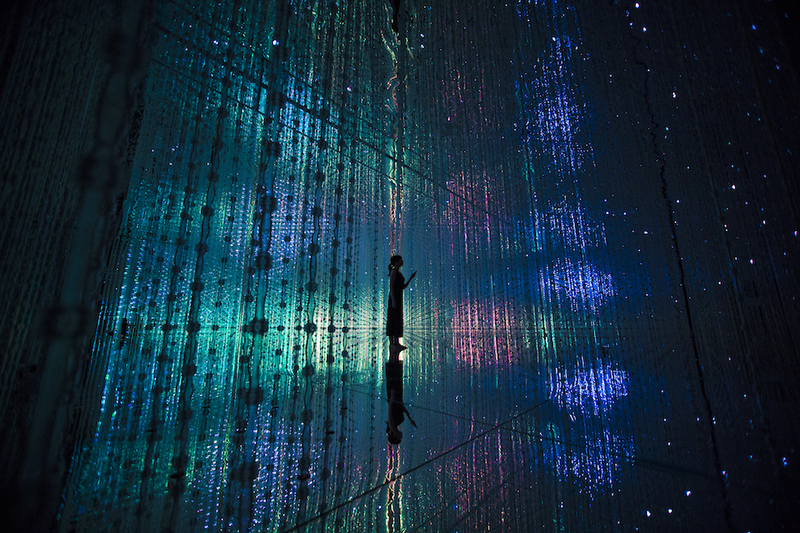 TeamLab, a Japanese digital art collective, is known for their large-scale and highly immersive artworks. 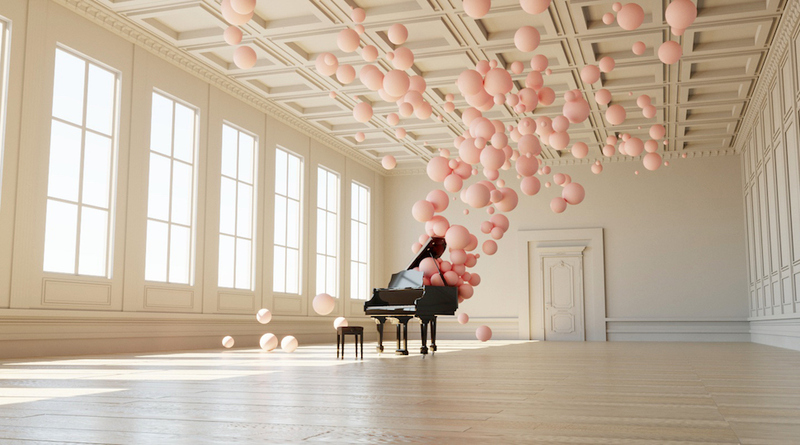 Their latest is an intriguing art show called DMM.Planets, which offers visitors an experience that combines art and technology. 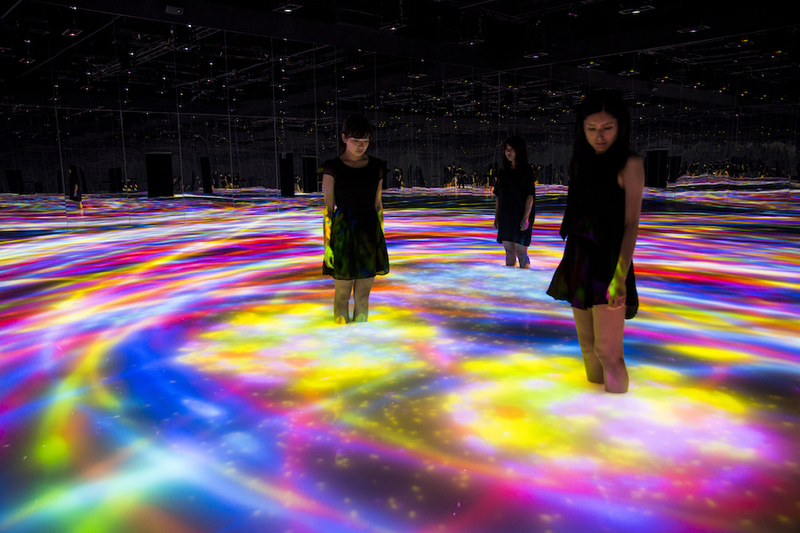 DMM.Planets spans over 32,000 square feet in Odaiba, Japan. 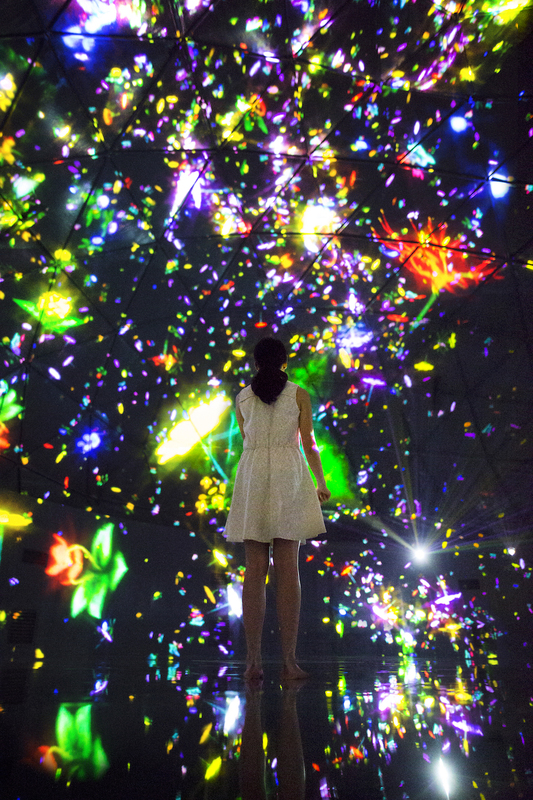 The first and largest installation, Wander through the Crystal Universe, is a dynamic and captivating work. This particular piece is made up of countless suspended LED lights and a distinct fragrance, which combine to create an imaginative ethereal universe within the space. The distinctive scent was overseen by astronaut Naoko Yamasaki. 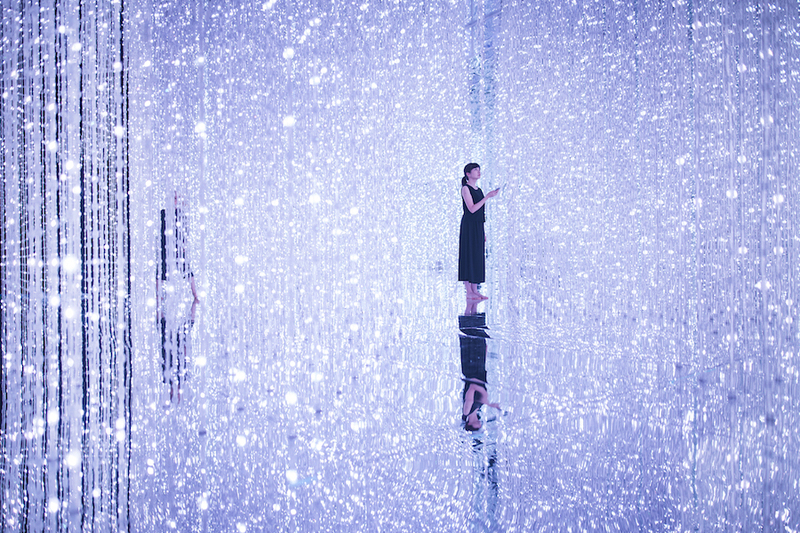 “The result is an installation consisting of an accumulation of lights, forming a sculpture that expresses the universe,” teamlab says. 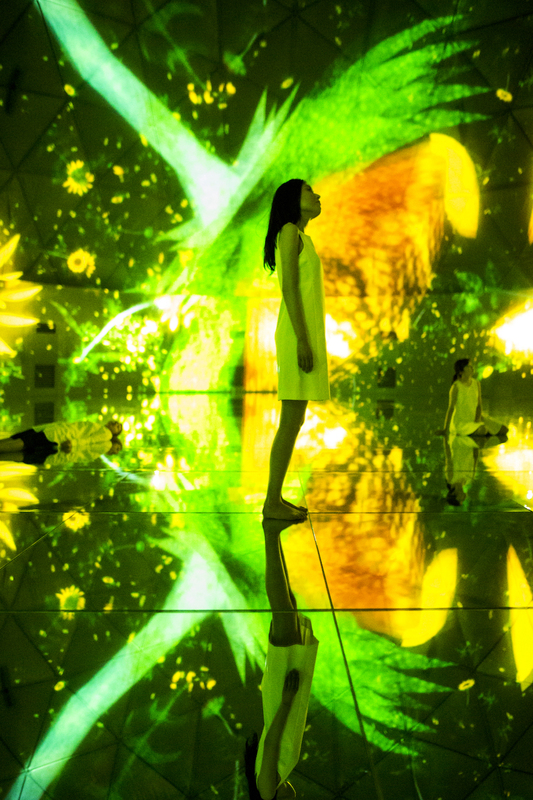 Another piece, Floating in the Falling Universe of Flowers, incorporates real-time computer graphics that project the life cycle of flowers throughout the space. 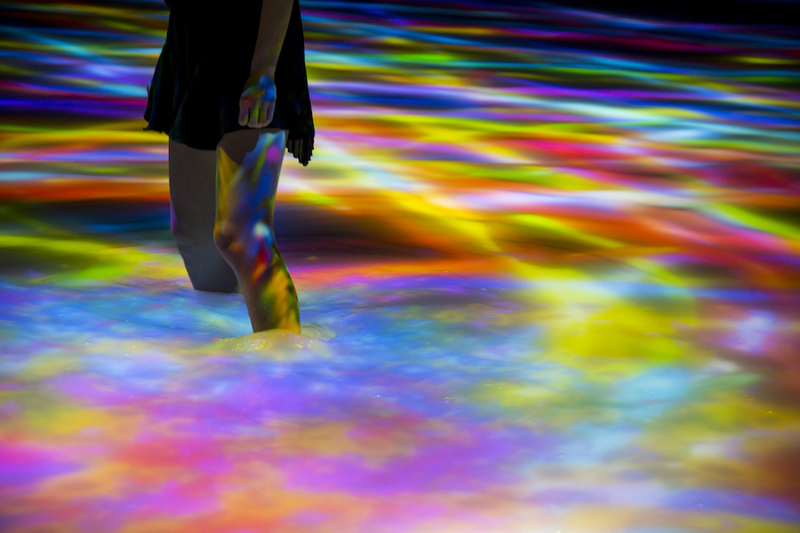 Koi & People, consists of a pool of water with virtual koi, where the fish transform into flowers when the visitors’ legs brush against them. 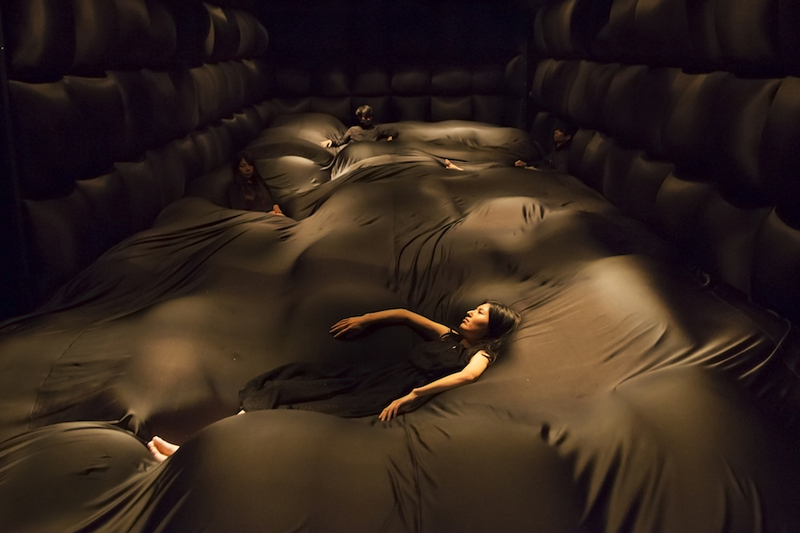 While an intriguing piece, Soft Black Hole, invites the visitors to lay on a dark pillow of air, resulting in a shift in dynamics when another visitor lays down as well. 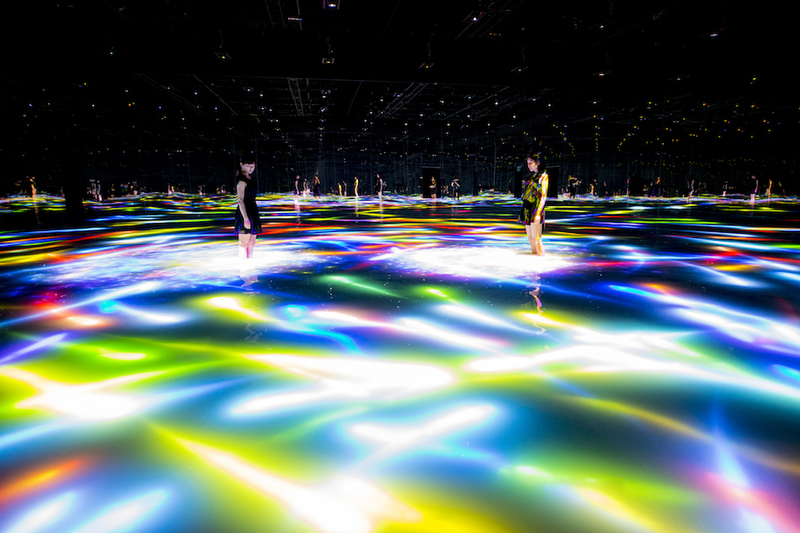 Most importantly, “Previous visual states can never be replicated, and will never reoccur,” teamLab explains, providing visitors with varying experiences for each artwork. 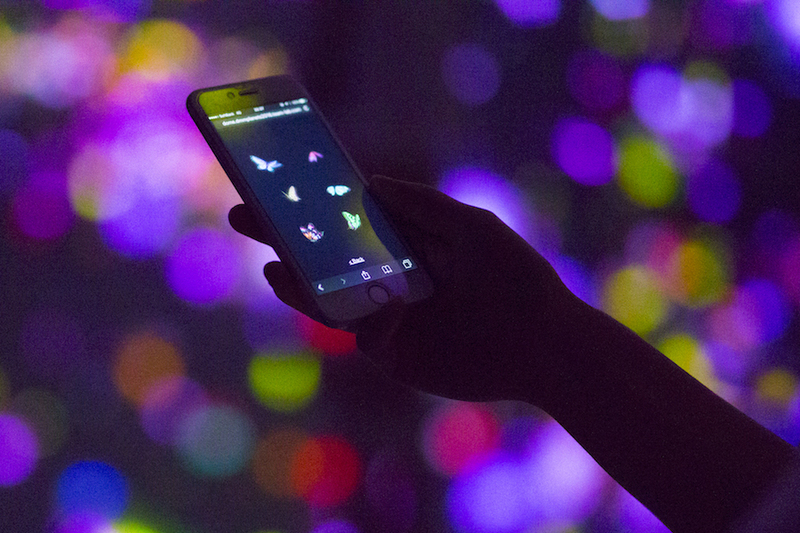 An interactive and visually transforming exhibition, DMM.Planets, brings together a singular imagining of how art and technology can transform an individual’s physical and sensory realm. DMM.Planets is on view through August 31, 2016 in Odaiba, Japan.